Miss Philippines Mutya Johanna Datul was crowned Miss Supranational 2013 held at the Palace of Sports in Minsk, Belarus on September 6, 2013. Hailed from Santa Maria, Isabela in the Philippines, Datul also won the Miss Personality award and became Asia's first ever winner. 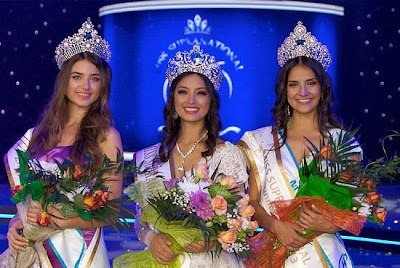 Miss Mexico Jacqueline Morales won 1st runner-up, while Miss Turkey Leyla Kose was named 2nd runner-up. Miss Indonesia Istri Krisnanda and Miss US Virgin Islands Esonica Vieira placed 3rd runner-up and 4th runner-up respectively. On its 5th year, the Miss Supranational competition was held in Belarus for over three weeks, and first time it traveled abroad after 4 consecutive editions held in Poland.